Whether you’re dealing with, or have dealt with, some type of misfortune in your life, it’s never easy to surmount. But it can be accomplished if you make the effort. 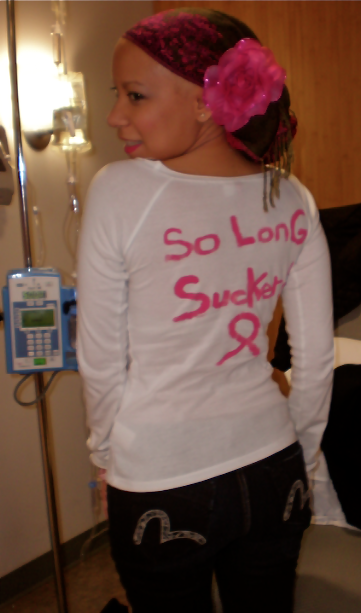 Take for example, Marlena Ortiz, who waged a winning battle against breast cancer at a young age. Marlena Ortiz in a publicity shot. In May of 2009, doctors diagnosed her with Stage II breast cancer. It floored Ortiz, who was only 25 at the time. Ortiz said the doctors misdiagnosed the lump on her left breast for three years—two of which were said to be due to a swollen lymph node, and an additional year as a fibroid–without ever sending her for a mammogram. Looking for a source of motivation and optimism, the Marine Park native searched far and wide for someone her age who suffered through the same debilitating disease but couldn’t find anyone. So Ortiz decided to champion her own inspiration, and, in the process, became a positive role model for other current and former cancer patients looking for a measure of hope. Ortiz—who founded and runs Beating Cancer in Heels, a nonprofit organization dedicated to the empowerment of young women with cancer, in 2010—has devised a list that helped her get through her ordeal. Though huge struggles at times for her, Ortiz admitted, she believes her recommendations can be applied to almost any other traumatic situation in life, and help you come out on the other side intact. 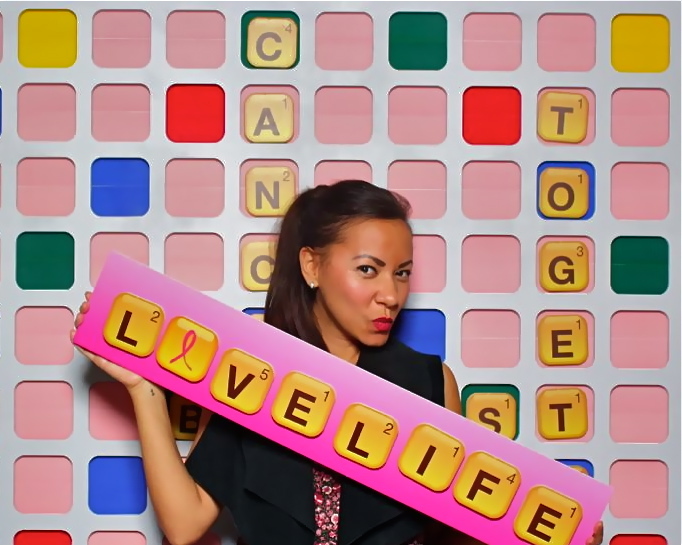 Marlena Ortiz sends a clear message to cancer!!!! Reach out for support when you’re ready. “Speak to someone – a therapist, a group, or someone who’s been through the same thing,” emphasized Ortiz. “Look into who will really help you. “It’s open to what you want it to be—exercise, self-help book, music, fashion, beauty.” explained Ortiz, an NYU certified life coach who uses her coaching skills to empower women during and after treatments. Beating Cancer in Heels also provides beauty workshops at cancer centers, and has a girls’ night out for its participants. As for her own means of empowerment, Ortiz wore high heels to her treatments. Marlena Ortiz sporting a nice pair of heels during one of her treatments. .“Our worries have happened in the past,” she said. “So stay rooted in the reality so you focus on the present moment. * Don’t forget to love yourself. “I always practice gratitude,” she said, adding that she has a gratitude book, and writes things down for which she’s thankful for in her life. Ortiz, who doctors declared cancer free in 2010, has appeared on The Wendy Williams Show and in breast cancer awareness ads for Lady Footlocker and the American Cancer Society. She also writes for a local Brooklyn newspaper about her cancer experiences. Moreover, Ortiz has been able to accomplish so much while continuing her philanthropic work. For more information on Ortiz’s charity, life coaching services, or to make a donation, log onto www.beatingcancerinheels.org.